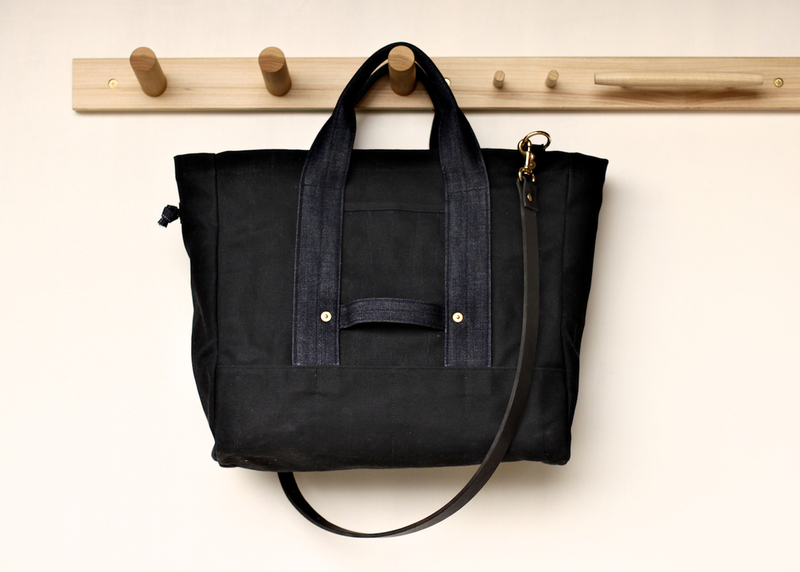 We've been working on an updated version of our Utility Tote for a few months now. The overall essence has remained the same, while we've made subtle refinements and added some new details. As with the original, utility is still the top priority. 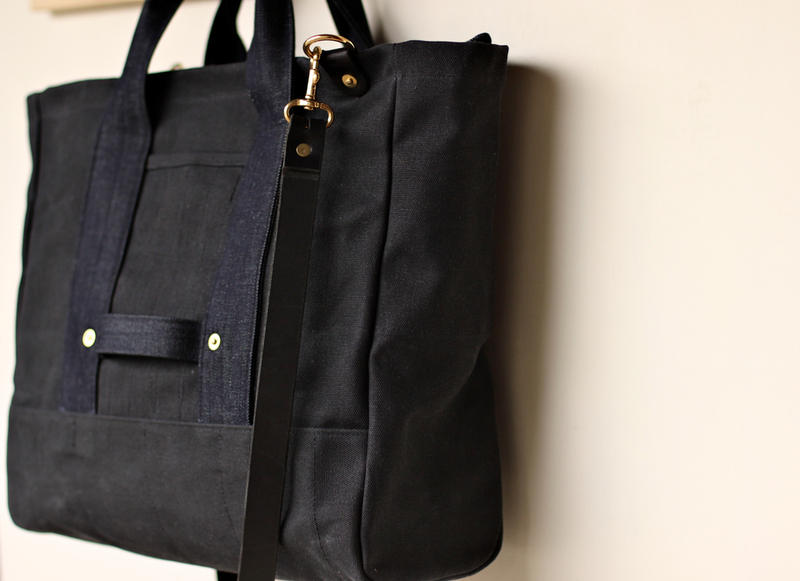 The main body is waxed canvas. The handles are either waxed or denim depending on each particular color. 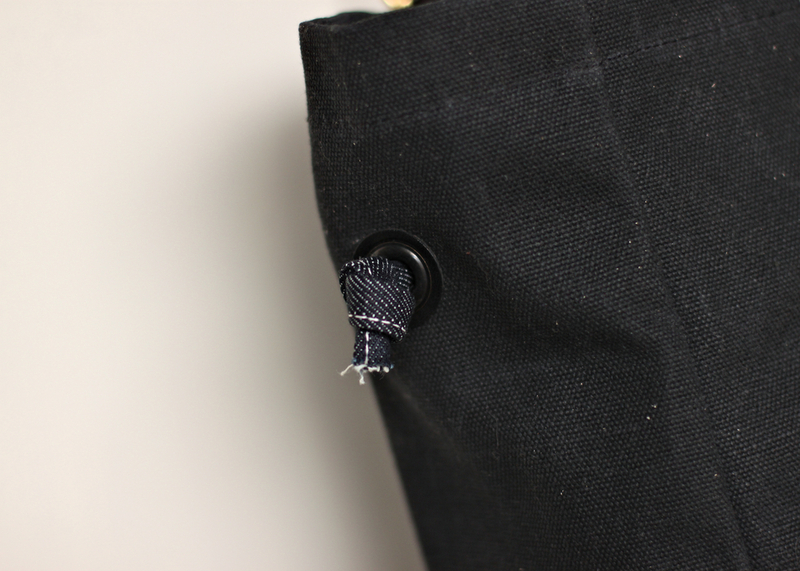 We've added a grommet/tether detail found on our Brimfield Bag. Useful for finding keys that get lost in the bottom of your bag. 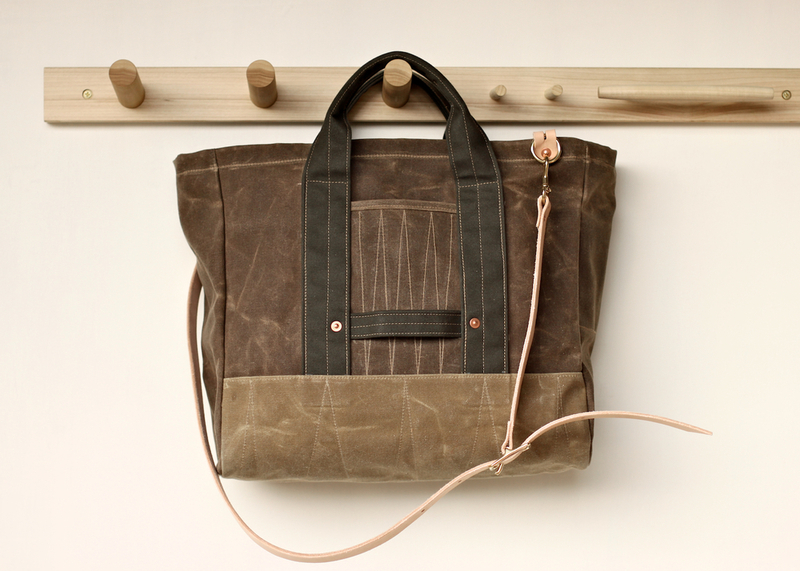 Most notable is the adjustable leather shoulder strap. This leather is of a very high quality and quite thick - probably a bit more so than required for a simple shoulder strap. But we always aim to use the highest quality materials, so it is not excessive to us. Keep in mind this leather is of a higher quality than the average belt. All the rivets are hand-hammered copper or brass depending on color. Again, keeping with the idea of utility these were the best choice. We tend to shy away from these rivets normally as they are a bit overused in some fashion/bag circles but they seem to fit in this application. The interior seams are all taped with either waxed or denim tape. 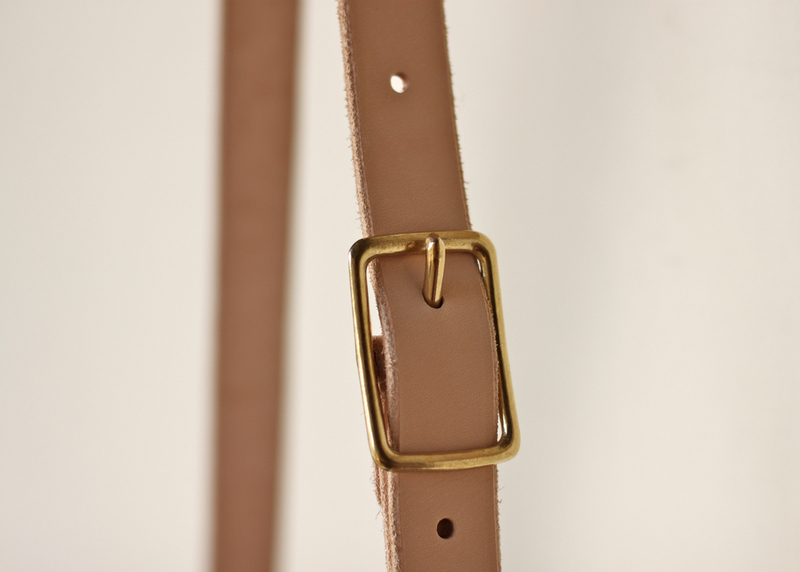 We don't buy these - each length must be made in our studio, by hand. 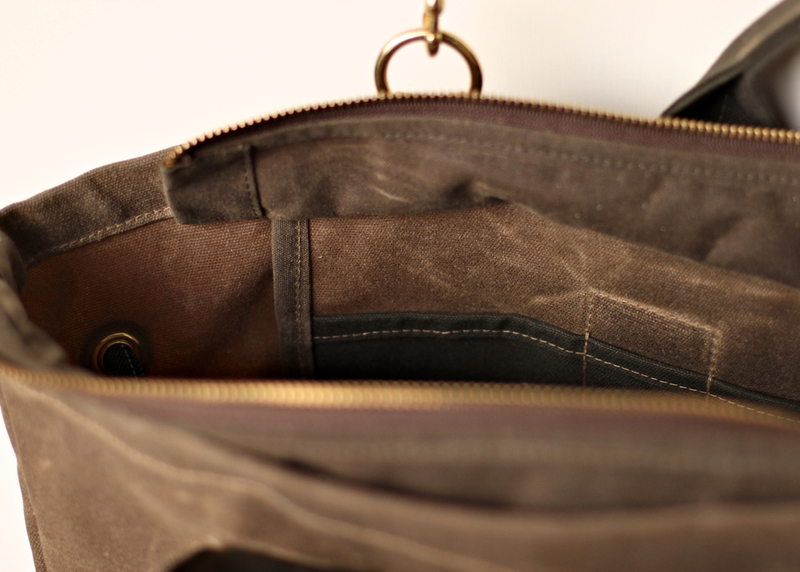 Another detail we're fairly proud of is the zipper construction (which also has taped seams). If you have any bags with zippers take a close look at the construction - all too often the zipper tape (the colored fabric part of the actual zipper) is sewn to the fabric without any type of overlock stitch or edge tape, leaving it to fray and generally look like garbage. Not with our bags.